Ever since I can remember, books are something I've always been pretty fond of. Story time was my favorite time of the day in Pre-K and I've been a bit of an over-buyer when it comes to trips to the book store. My husband has always been the same way, story time with his mom was something he looked forward to and when he grew up he found a sense of comfort in books. While there are plenty of amazing hobbies to have, reading is one of my favorites that we share and one that I really want to encourage Delainey to partake in. We can't make her have a specific hobby, we plan to read to her often and hopefully influence her to love books just as much as we do. We have a growing collection of books in her library already and we even asked guests that attended our baby shower this weekend to bring a book instead of a card, which greatly expanded her library! She now has some of the classics, an amazing amount of new books, and even a few books I've never even heard of but look forward to reading with her! While we have an amazing stash of books now, I have a feeling I know which ones will always be her favorites... 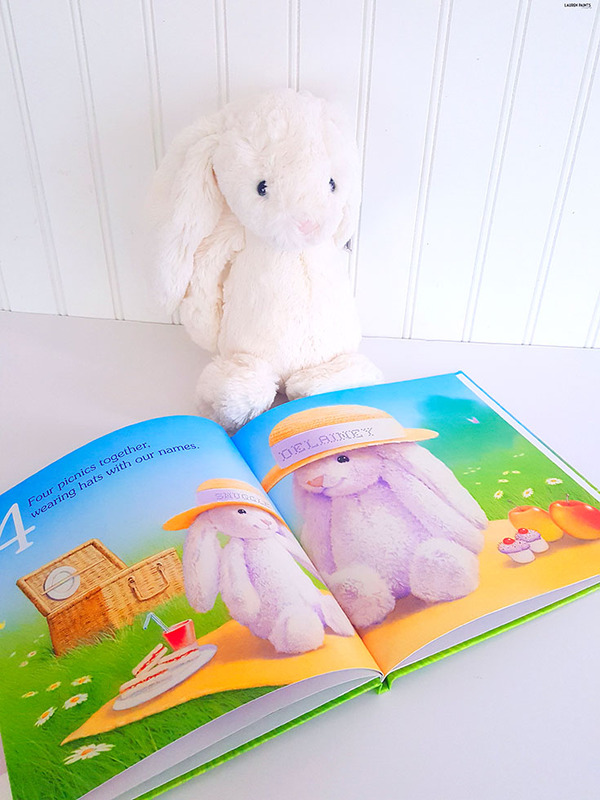 Her personalized Snuggle Bunny book and her personalized ABC What I can be book! How do I know these books will be loved so dearly? They are books specially written about her made by I See Me! 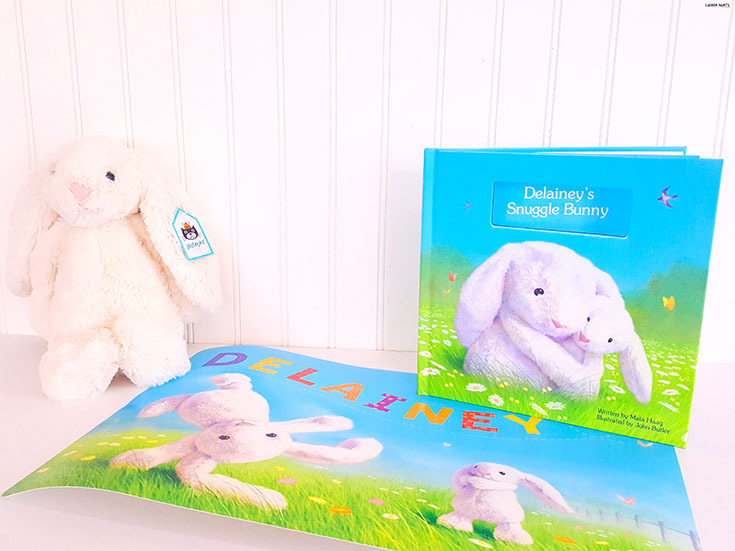 The Snuggle Bunny book actually came as part of a set that includes the most adorable snuggly bunny stuffed animal and a placemat that's equally as cute. 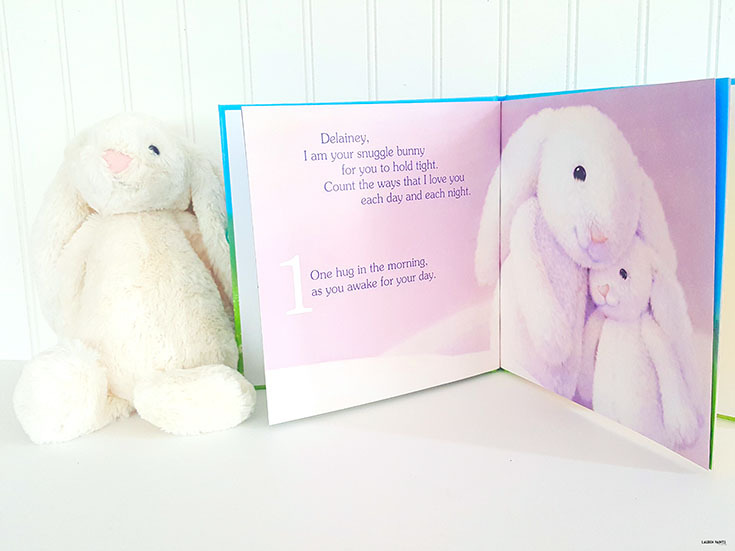 The story is all about the 10 different ways this cute little bunny loves your child, with their name sprinkled through out the book and beautiful illustrations to match! 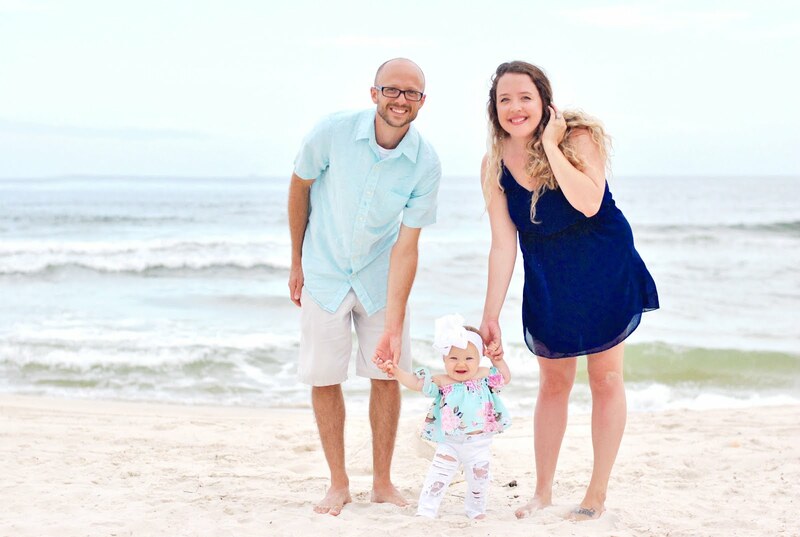 Whether your son's name is Jacob or your daughter's name is Hannah, you'll be able to have to book customized to include their adorable name and it'll be one of their favorite night time stories for life. My little niece was gifted this book by my grandmother and it's one she constantly grabs to read at night, even though she's 3 years old and has read it almost every night since she was born. Plus, Snuggles (her little bunny) is her favorite stuffed animal that she owns... I can't wait until Delainey is here and we get to share the snuggly love with her too! 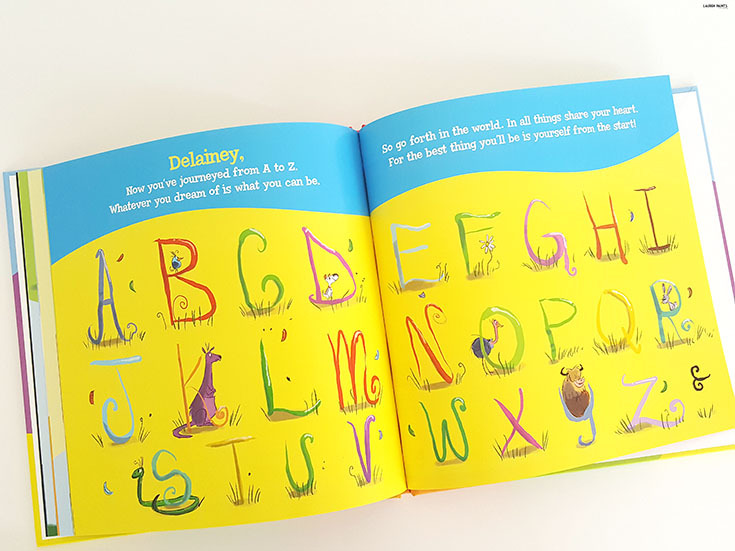 The other personalized book we ordered for Delainey explores different careers while also teaching her the alphabet in a fun way that includes her name on nearly every page! 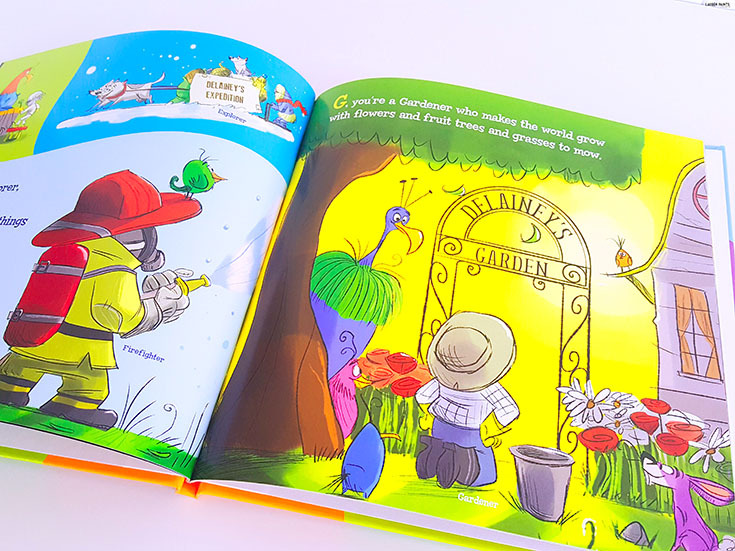 Whether she wants to be a gardener, a musician, a novelist, or a dentist, this book is a fun way to teach her while encouraging her to be whatever she wants to be and will be perfect for any little curious kiddo in your life! I love that as she gets older she can recognize her name in random spots through out the book and learn to think creatively about who she will be when she's bigger. 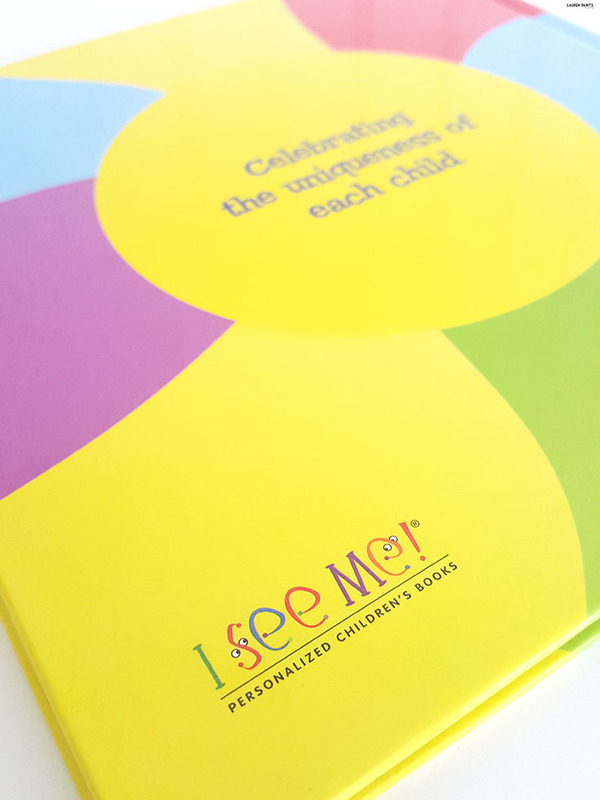 It's such a fun book and one that I think I may order for my niece as well so she can have another amazing book from I See Me! While these two books are amazing, I suggest you take a look at the other options you can customize for your little one! 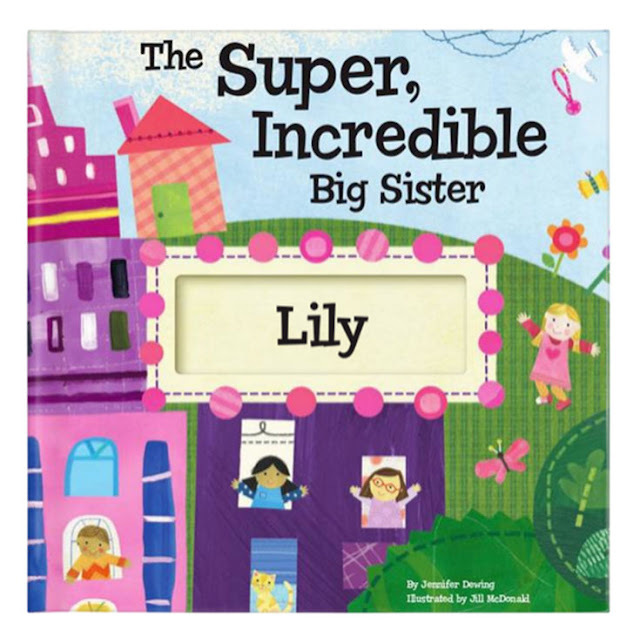 If you want to get your little girl a personalized book about being a super incredible big sister or your niece a book about how she can change the world, I See Me! has the most amazing options and at a great price they make the perfect and most thoughtful Baby Shower Gift! They don't just make books either, your little one can get everything from a personalized lunchbox to coloring books and growth charts that have their name! Plus, I See Me! is celebrating their 15th year anniversary of the book that started it all! You can get the 15th Anniversary Edition of My Very Own Name this year and celebrate with them! So click here and check out the great selection, if you find something you just love, let me know what it is in the comments below... plus be sure to sign up here and receive their coupons in your email so you can score an awesome discount on your next purchase! I know I signed up right away, because I'll definitely be investing in a few more of these cute personalized books before Delainey arrives. As I said, I want her to love reading and having a huge stash of books is the perfect way to instill that!